The rate includes the use of the gym, sauna and pool. Card is valid for 6 months. Ask your free Radisson Rewards™ card from the receptionist. 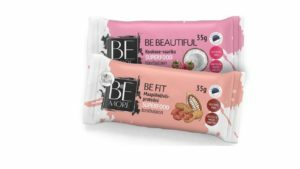 Batons are also enriched with Be Fit and Be Beautiful superfood mix, which adds them even more protein content and enjoyable flavour and supports your body with a large amount of different vitamins, minerals and antioxidants. With the purchase of each raw bar, you support the Estonian Cancer Society with 1 cent and if You buy the whole box then You support them with 4 cents.